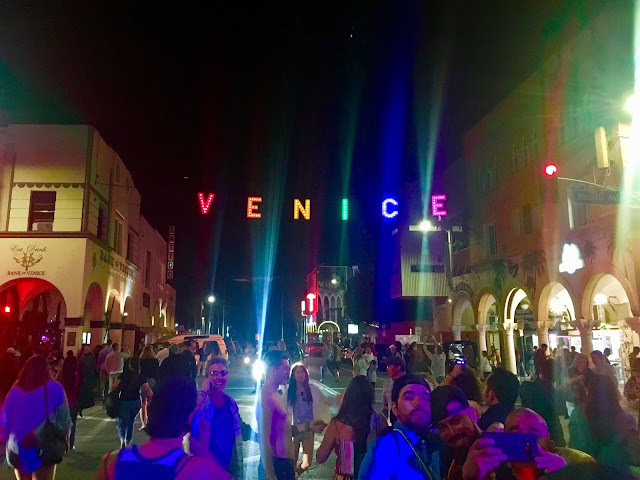 Blogtown: Venice Pride 2018 - Rave Un2 The Joy Fantastic! "Joyous" was the word I heard repeated over and over on Saturday night during the celebration for Venice Pride 2018. Faces of every kind were beaming, and fun was the only order of the day. And boy, let me tell you, it's been needed. The Venice Pride festivities kicked off on Friday morning with the raising of the biggest rainbow flag in the universe or something, but I wasn't able to be there because it was early in the morning, and I had to be at my gig working on a show about heroin addicts that is the darkest subject matter imaginable. Friday night there was a comedy roast at Surfside that I also couldn't attend, but I had every intention of getting over to the re-opening of the new Roosterfish - until I heard from everyone texting me from there that it was lame. I'd had my doubts, and they were pretty much confirmed until I can confirm them for myself. 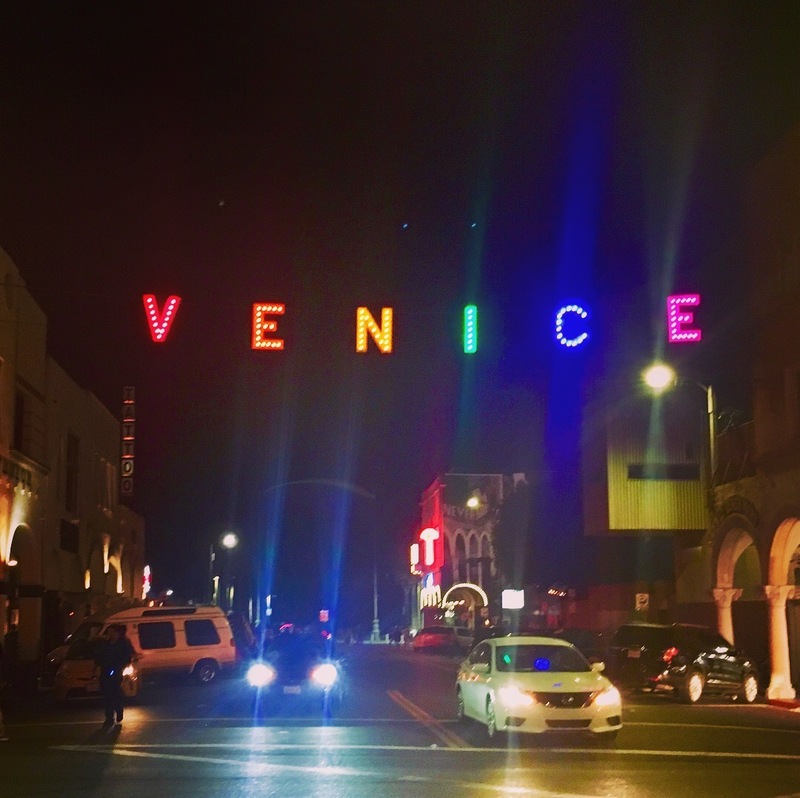 Half hour to get a $16 drink ... not really gay enough for my gay friends ... packed with scenesters ... and lacking the grit that made it a welcome respite from the rest of the bougie places on Abbot Kinney now days. Oh, well ... at least they kept the name and the men's bathroom ceiling. Saturday was a very, very heavy day for me. It was the anniversary of the death of my beloved father, as well as the celebration of the life of my friend Alexis Murray, with heart wrenching speeches and slide shows showing how much she is already missed - and will always be - just like my own family had years ago. It was very, very sad. 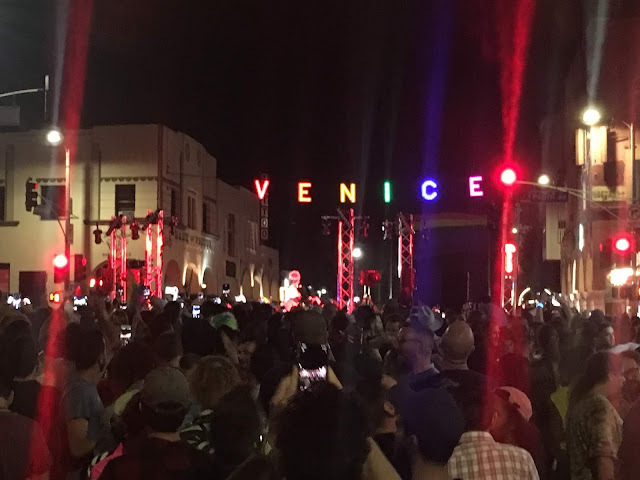 So, the best thing to do after all of that was to get to Windward, where there was a full-on disco party for the whole community happening for the lighting of the Venice Sign in all its rainbow glory for gay pride. The streets were already packed by the time I got there, and it was so fun and colorful and spirited that you couldn't be sad for long ... because WE are alive and kicking and need to celebrate that fact every single day while we can. Period. 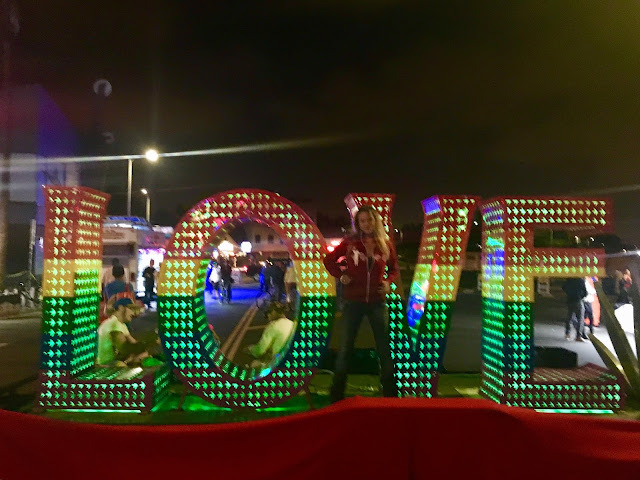 A giant light up "LOVE" sign was a popular backdrop for photos, and also the absolute message of the day. 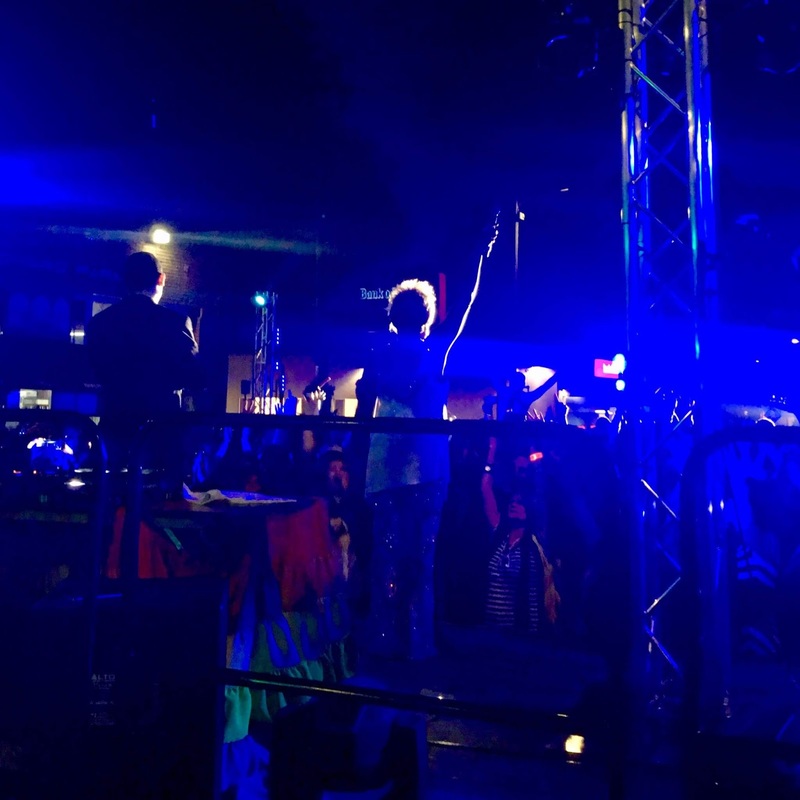 I missed all the civic speeches and stuff, which was fine, and got there just in time to see the beautiful Disco Queen, Thelma Houston, singing the hits like her Grammy winning "Don't Leave Me This Way" to a buoyant JOYOUS crowd, singing and dancing heartily along. It was awesome out there. The sign had already been lit up when I arrived, and it was an instant Instagram backdrop for thousands. 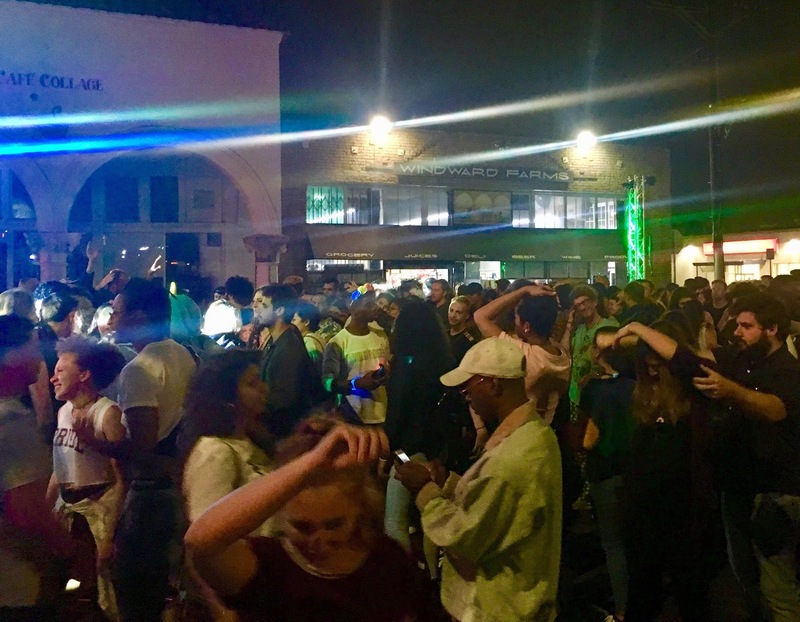 When Ms. Houston finished her set, a DJ took over and kept the dance party going in the streets in what had become the coolest club in town, where everyone was having a complete blast, no matter if you were gay or straight, young (babies!) or old (wheelchairs! ), grieving or not ... it was easy to forget ones sorrows and just jump up and down with joyful friends and strangers alike. Ahhh. I'm sure there were several after-parties, but I headed for The Townhouse, where a drag band was killing it, and whiskey helped to further drown the sorrows. 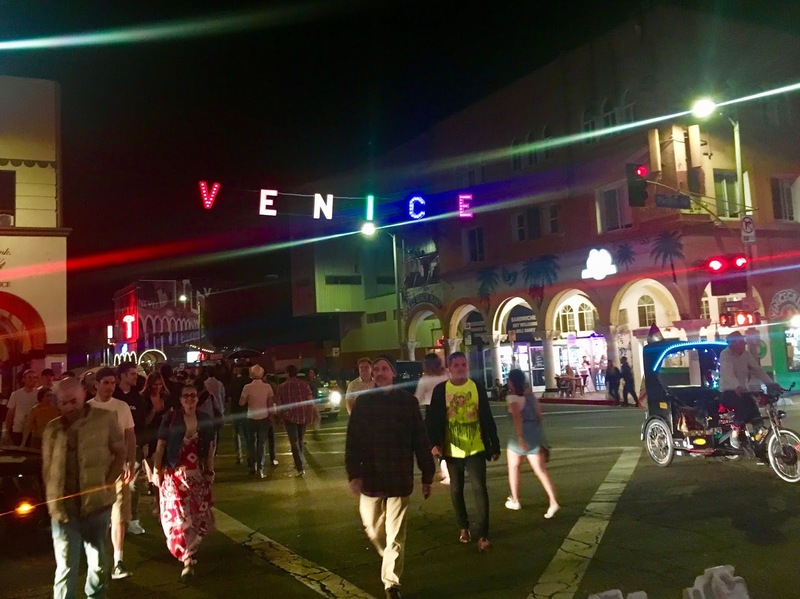 The vibes were straight fun and love and living in - and for - the moment. Just exactly what was sorely needed. The celebrations continued long into the wee hours (without me), and were still happening Sunday afternoon at The Whaler, so you know the weekend was a smashing success. Thank you to everyone there for bringing me back up, and for supporting each other in the mission of love, acceptance, and JOY for everyone. No matter what. One Love!